Kay Kimsong, editor-in-chief of The Phnom Penh Post, was fired on Monday by a representative for the newspaper’s new Malaysian owner Sivakumar S Ganapathy, a day after The Post published an article about links between his public relations firm and the Hun Sen government. Representatives for the paper’s new owners ordered senior staff on Monday to remove from the newspaper’s website what they described as a “damaging” article that they said contained a litany of factual inaccuracies. Five senior staff members – Managing Editor Stuart White, Digital Director Jodie DeJonge, Web Editor Jenni Reid, Business Editor Brendan O’Byrne and senior journalist Ananth Baliga – resigned in protest, as well as CEO Marcus Holmes. Afterwards, Kimsong told staffers that Ly Tayseng, a Cambodian lawyer who represents the buyer, told him he had made “a serious mistake” in publishing the article and fired him. Tayseng also informed staff that Joshua Purushotman would be the new editor in chief of The Post“ starting today” and that all articles would be approved by him. In a meeting with staff, Tayseng and Purushotman defended Kimsong’s firing as a business matter. However, during an internal meeting with senior staff, Purushotman told Post employees that the “article damages our reputation”. Tayseng and Purushotman also declined offers to discuss the article’s alleged inaccuracies in detail. Both insisted that paper would neither be pro- or anti-government going forward. “We’re not pro-government, we’re not anti-government either,” said Tayseng. The dual-language Phnom Penh Post was founded in 1992. The other independent newspaper in the country, the Cambodia Daily, closed in September last year. 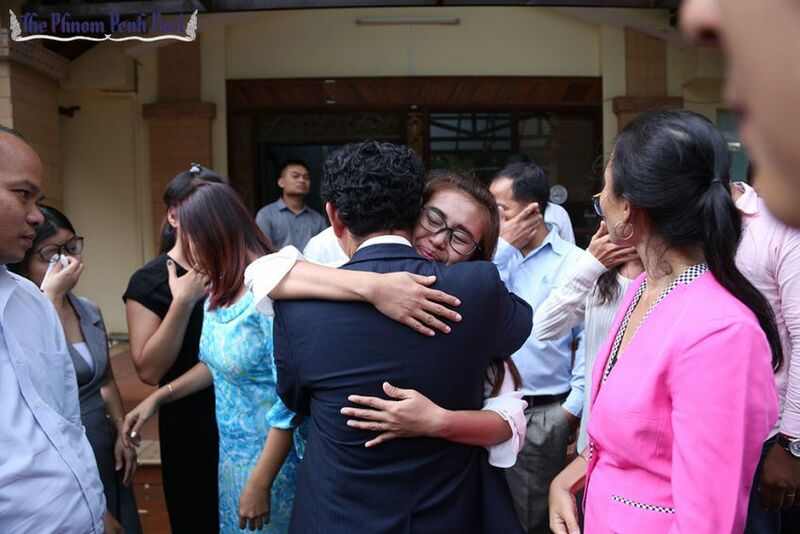 Chad Williams, who served as editor-in-chief of The Post for nearly three years, called it “personally devastating to watch this afternoon’s events unfold from afar” but added that it “pales in comparison to the actual loss it represents for Cambodia”. Williams noted The Post’s history of reporting on illegal logging, forced evictions and vote rigging. Moeun Chhean Naridh, director of the Cambodia Institute for Media Studies, said the new owners overstepped journalistic ethics by interfering in editorial affairs. Huy Vannak, president of the Union of Journalist Federations of Cambodia and a Ministry of Interior official, declined to comment on what he called The Post’s “internal affairs” but added that Cambodia is “too free” when it comes to press freedom compared to neighbouring countries. “Both the owners and the editorial team need to understand the direction of the business,” Vannak said. The effect of the takeover was also felt in the political world. Former CNRP chief Sam Rainsy said he was “even more worried about the upcoming election”. Sam Inn, secretary-general for the Grassroots Democracy Party, which will be competing in July, said the takeover is “not a good development”. But CPP spokesman Sok Eysan said aggrieved staff should file a complaint against the new owners. “If [Kimsong] does not file a complaint against them, it means that they have done correctly,” he said. The mood in the office on Monday was grim, with staff visibly upset as they walked Kimsong out of the office. Kimsong, who took the helm of the masthead in September after years as the editor of Post Khmer, told staff and reporters outside the office that he made “the right decision”. Chief of staff Chhay Channyda, a Post employee for 10 years, said she was in shock but would wait to see how the new owners manage the paper. “I love The Post. I love the environment. I love the colleagues. And I love how free the press is at The Post,” she said.